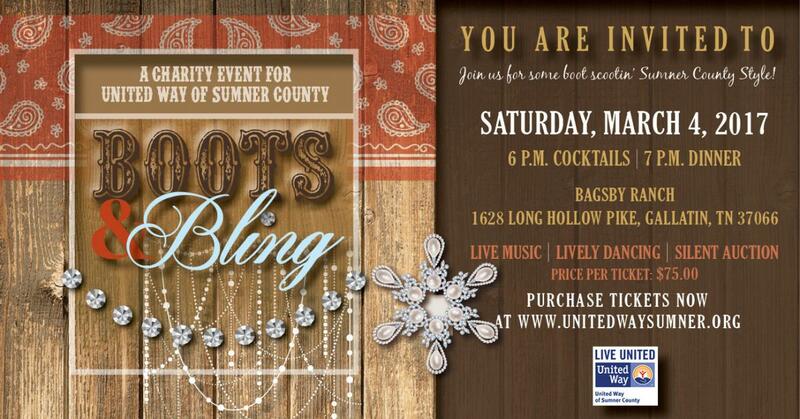 Area residents have the opportunity to enjoy a spectacular evening of dining, dancing, and more while helping their neighbors in need by attending United Way of Sumner County's Boots & Bling Gala, the organization's signature fundraising event for the year. 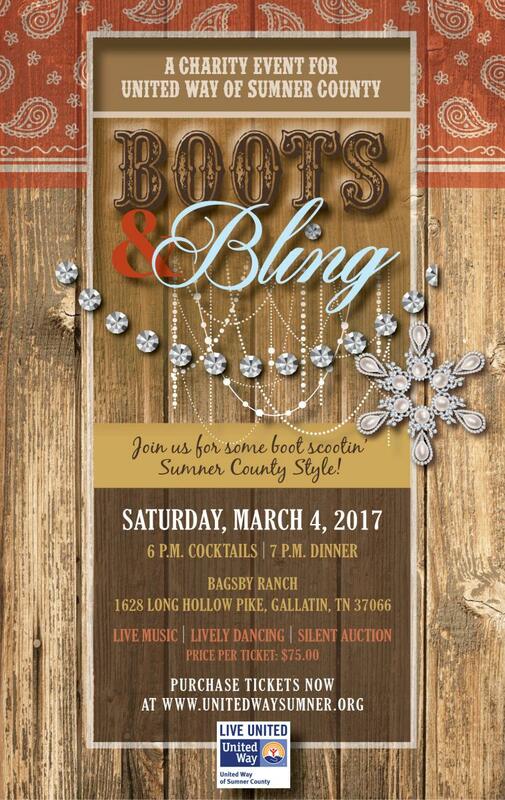 Presented by The Goddard School, TriStar Hendersonville Medical Center, ITW, and Dollar General, Boots & Bling will take place from 6-11 p.m. on Saturday, March 4, 2017, at the Bagsby Ranch, 1628 Long Hollow Pike in Gallatin. The evening will feature dinner, dancing, silent auctions, and more, with all proceeds from the night benefiting United Way of Sumner County programs and agencies that met more than 46,000 local needs over the past year. Tickets for Boots & Bling are $75 each and may be purchased online by clicking the gray "BUY TICKETS NOW" button on either the top or bottom of this page. Tables will seat up to 12 people, so rustle up a group of friends and reserve yours today!